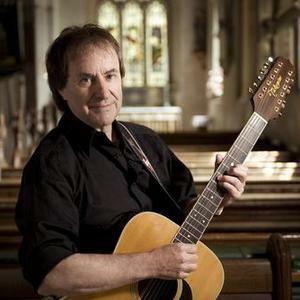 Chris de Burgh (born Christopher John Davison on 15 October 1948 - Venado Tuerto, Santa Fe, Argentina) is an Irish / British musician and songwriter. He is the son of a British diplomat and an Irish secretary. Few artists can lay claim to international success spanning three decades but, beginning with his very first release, Chris de Burgh has achieved precisely that. The foundations for a remarkable and durable career were laid back in 1975 with the release of Chris's debut album, ?Far Beyond These Castle Walls', featuring a single, ?Flying', which spent 17 weeks at No. 1 in Brazil. The foundations for a remarkable and durable career were laid back in 1975 with the release of Chris's debut album, ?Far Beyond These Castle Walls', featuring a single, ?Flying', which spent 17 weeks at No. 1 in Brazil. Subsequent records, almost in turn, continued to steadily draw in audiences around the world; Scandinavia was early to embrace the vivid story-telling that is Chris's unique talent, South Africa quickly tuned in to his power as a live performer, North America even demanded its own specially compiled ?greatest hits' collection, ?Best Moves'. In the United States, meanwhile, relentless touring with his management stablemates Supertramp was beginning to establish Chris as a gritty, charismatic stage presence. Indeed, by 1980, Chris's global profile had already mushroomed to the point where that year's album, ?Eastern Wind', became one of the biggest-selling albums of all time in Norway. A year later, its follow-up, ?Man On The Line', was a Top 30 album in the UK, the US and 20 other countries, while producing the single ?High On Emotion', which went to No. 1 in ten European countries. In many respects, it was this album that opened the door to the enormous success which was to follow and scale new heights with the arrival of Chris's 1986 album ?Into The Light'. Chris, by his own estimation, had shrewdly perceived this record to be one which could place him fully centre stage as an artist and, indeed, it featured the song which finally established him as a known singer-songwriter around the world. ?The Lady In Red', now undeniably an evergreen classic, achieved No. 1 status in 25 countries, including the UK, went to No. 2 in America ? and has now sold in excess of 8 million copies. To this day, it remains one of the most played songs on the planet; in America alone, it has subsequently been the recipient of six annual ASCAP (Association of Composers and Publishers) Awards, presented to acknowledge the track as one of the Top 20 most played records in the United States in a period of 12 months. By now, Chris's stature had reached true superstar status in many territories ? particularly in Germany, where his sell-out tours were grossing more than any other artist on the road. Come 1990, Chris's German popularity was such that he was the only international artist personally invited by then Chancellor Kohl to perform at the historic public celebrations marking the re-unification of East and West Germany. This momentous privilege immediately followed sell-out tours of Australia and Japan. In the intervening years, and on the eve of the Millennium, Chris continued to add new audiences to his vast fan base ? from Moscow to Malta, from Singapore to Sarajevo ? and, always, to find and embrace new challenges for himself as a musician and a performer. Specifically, his 1995 album, ?Beautiful Dreams', realised a long-held ambition to have his music (both new material and selected highlights from his previous repertoire) recorded in a classical style ? with a full, 32-piece orchestra. Not only did this album breathe new life into Chris artistically, but it also enabled him to embark on a series of open-air shows in some of the UK's finest palaces and stately homes. His 1999 album ?Quiet Revolution' featured a band for the first time since his ?This Way Up' LP, five years earlier. Road-tested as players via tours of Germany, South Africa, the Eastern Bloc, Middle East and South East Asia, a solid line-up of musicians once again invigorated Chris's approach to making music in a group scenario, a philosophy still very much in evidence on his next studio album, ?Timing Is Everything', released in 2002. In every sense, the record was a current statement of Chris's craft, easily placing all of the several trademarks he had made his own ? vivid story-telling, powerful anthems and heartfelt ballads ? against an undeniably contemporary backdrop. ?It was a modern-sounding record, within the parameter of me as a songwriter, because I write in the classic vein. I'm writing in that old-fashioned way, but I think we brought a very new and dynamic sound to it.? ?The speed with which we recorded reflected the fun we were having. That was a big part of it all. When making records previously, there had always been that slightly freaky thing of saying to myself ?Today I'm doing a lead vocal'. In the past, I have been aware of the need to get my singing, my vocal performance, absolutely right in the studio ? because what is recorded there stays with you forever. It's like taking a penalty in an important football match; you've got to get it right.? There were, and will be, many interpretations concerning the meaning of ?The Road To Freedom', the title given to his 17th album, released in 2004. Equally, it was a record which tackled a wide spread of subject matter; the bittersweet life of Queen Elizabeth the First (?Rose Of England'), a rallying, heartfelt plea for people to make something of their lives (?Read My Name'), a moving tribute to the late Eva Cassidy (?Songbird') and ? possibly most intriguingly ? a song called ?Five Past Dreams', the ?what happened next?' follow-up to Chris's biggest career hit, and one of the most romantic ballads of all time, ?The Lady In Red'. ?The Road To Freedom' presented an up-beat, positive and hopeful over-view of the world as Chris de Burgh then saw it, viewed in the cinematic proportions which have become one of his unique abilities. By now recording and releasing albums with more regular frequency than at almost any other point in his career, Chris delivered his next ? and most current ? studio LP, ?The Storyman', in 2006. Its title alone aptly summed up Chris; imaginative story-making has, after all, always been at the very core of his worldwide success. Whether his lyrical ? and musical ? themes have tackled love and loss or been set against imaginative backdrops created from the past, present or future, the telling of tales is his special gift. Across more than three decades by now, Chris's extensive repertoire of songs has taken his audience on travels through continents, cultures and centuries - in cinematic proportion ? and such was the inspiration behind the concept of ?The Storyman'. ?From the moment the overture music of the album begins, I am inviting the listener to join me on a journey through space and time,? Chris explains, ?to faraway lands and places, where the tales and dramas will unfold.? Each one of the new songs was accompanied by stories ? also written by Chris and printed in the CD booklet ? which set the scene and expand upon the lyrics with detail, colour and atmosphere. ?These musical textures evoke the special characteristics and sounds of the destinations to where we are travelling,? Chris explains. For example, ?Leningrad' features the London Russian Choir, ?My Father's Eyes' is a duet with the Egyptian singer Hani Hussein (a runner-up in the Middle Eastern version of 'Star Academy' - similar to the UK's version of 'Fame Academy') while the three-piece African vocal group The Mahotella Queens sang on ?Spirit'. Meanwhile, ?Raging Storm' ? a single from the album ? was a duet with Kristyna Myles, winner of a BBC ?Busker Of The Year' competition and, on ?The Mirror Of The Soul', Chris ? a former pupil himself - is joined by The Marlborough College Chamber Choir. It all makes for a stirring and evocative trademark musical statement by Chris ? and one which, as always, he quickly brought to life with an extensive world tour ? re-uniting him with his band for the first time in three years ? in support of the album. Almost two years after the release of the record, the tour is still in progress? ?My hope is that each person who listens will let themselves believe that they are in a cinema; the lights go down as the overture of ?The Storyman Theme' starts to play,? says Chris. And so the ever-changing musical journey that has been Chris's career continues to evolve, adapt and develop. It's all light years away from the 12th Century Irish castle (converted into a hotel by his parents) where Chris first performed to guests and, certainly, more than the young man who gained a degree in French and English at Trinity College, Dublin, could ever have dreamed for. But, at the end of the day, the facts speak for themselves; a career encompassing 17 studio albums, approaching 3,000 concerts worldwide, plaudits and landmarks too numerous to mention ? with LP sales in excess of 46 million?and counting.